Orders placed via mobile apps are poised to become a $38 billion industry, making up over 10 percent of all quick-serve restaurant sales by 2020, as reported by Business Insider Intelligence reports. Today’s smartphone users are more comfortable with app-based purchases and online payments of all types. So with this surge in online ordering and delivery, how can you continue to keep diners coming into your establishment? It’s all about customer service! As a restaurant owner, excellent customer service is vital to your success. Customer service is equal parts of communication and authentic attention to your diners. When guests eat at your restaurant, of course you want them to feel appreciated. And when you treat them with respect while providing an exceptional meal, they’ll come back to your restaurant time and again. The bottom line is that customer service can make or break any business, particularly a restaurant. Today we’re going to discuss five ways to provide stellar customer service at your dining establishment. 1. Do it correctly from the beginning. While food quality is exceptionally important, it is the entire experience that customers have from the time they walk in the door to the minute they leave that really counts. Because of this, restaurants should remember to keep the customer’s wishes at the forefront of every visit. 2. Don’t create a situation where they have to wait. 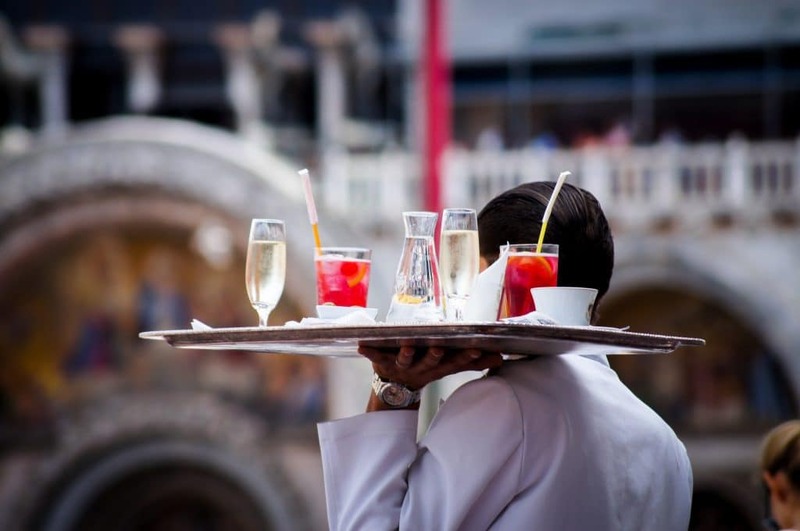 If your customers have an extended wait for either their drinks, appetizers or meals, it really won’t make a difference to them that your bartender makes the best cocktails, or the chef prepares the most sumptuous meal. Your customer will already be frustrated and hungry. It can be difficult to win back a disappointed customer, so avoid it at all costs. 3. Take care of problems right away. Your skill at dealing with customer complaints is also of utmost importance. Regardless of how hard you try, something is going to go wrong at some point. Whatever the issue is, your goal should always be to please the customer. Never let your customer’s frustration linger – handle the problem immediately. 4. Utilize the power of customer satisfaction feedback. Show your patrons that you value their opinion. Restaurants that are exceptionally successful want to hear their customer’s opinions, whether good or bad. When you provide them with an opportunity to share their experience, it lets them know that you care and are always searching for ways to improve both your food and your service. Competition with online food apps is only going to get more intense, but a superior dining experience will stay on the minds of your customers and bring them back time and again. Stay competitive by providing the best in customer service. Want to know how your customers are enjoying their experience with you? We can help! Mystery shopping offers simple, objective observations of your staff and operations through the eyes of a professional. Contact Reality Based Group today to find out how our programs can help your business remain relevant.